A Lodestone by definition is a naturally magnetized piece of the mineral magnetite. It was considered a very powerful amulet in the eyes of the ancient Greeks as far back as the 6th century. 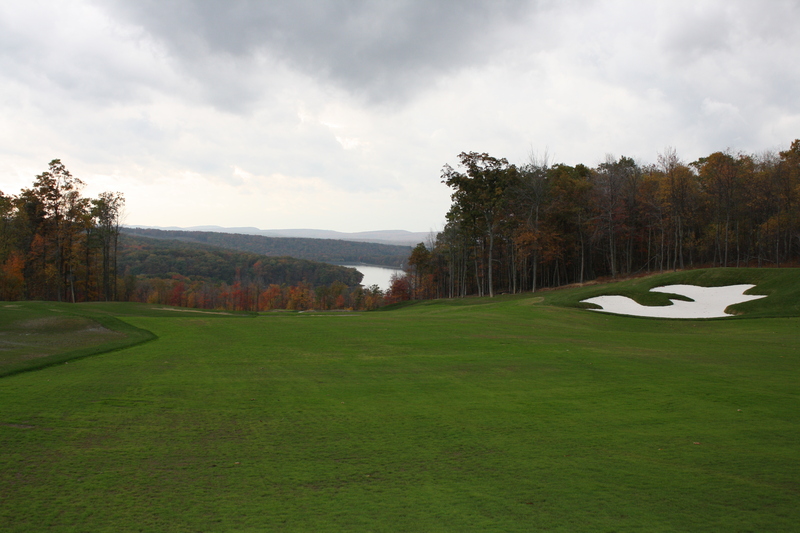 Deep Creek Lake’s newest jewel, The Lodestone Golf Course, is destined to possess that same commanding attraction upon its opening in the spring of 2010. This is a golf course that is beautifully laid out throughout Wisp Mountain capturing amazing views, rolling mountain topography, huge rock outcroppings, and two distinct personalities between the front nine and the back nine. There are many breathtaking views from the golf course and from some truly amazing homesites throughout the mountain. One of my favorite views is off the 13th fairway looking down on the lake and the Dam. It required blasting about 6000 cubic yards of pure rock to open up a view slot to this downhill par 5 to be able to see this gorgeous lake view. I’m very excited to have such an upscale golf facility to add to Deep Creek Lake’s list of fun things to enjoy. Bring your sticks on your next visit and join this Hale Irwin classic.